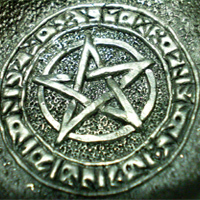 Universal Eclectic Wicca, or UEW as it is better known, is one of the many traditions of Wicca that was established in the 1960’s United States. After the introduction of Alexandrian and Gardnerian Witchcraft, UEW was developed to expand and elaborate upon these ideas. Soon after, the Church of Universal Eclectic Wicca was established as the corporate body of this tradition. The CUEW is located in Great Falls, Virginia. The Wiccan Rede: This states that as long as Witches do not harm upon anyone, other people will not harm them. This Rede can be considered as the general rule that oversees the behavior of the witches. The Law of Return or the Three-fold Law: This law states that if you do something to someone then the same thing will be returned to you with three times the potency. This means that if a Witch wants to do something good for someone, her deeds will be returned with three times the original energy sent. The same holds true for a negative deed as well. The Ethic of Self-Responsibility: This means that you are the only person who is responsible for your actions. If you happen to make an error, this is your mistake alone and you will have to be accountable for its aftermath. The Ethic of Constant Improvement: This states that a Witch will have to grow, develop and change for the purpose of making this planet a better place to live in. This Law informs the Wiccans to be responsible not just for yourself, but for the world as a whole. The Ethic of Attunement: This means that a Wiccan has to adjust herself with the heavenly and also to make sure that efforts are made to be in synchronization with the divine. 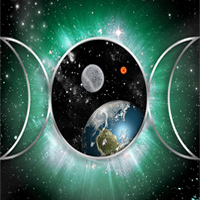 Pre-First Circle: This type of membership includes people who only know the basics of Wicca or Universal Eclectic Wicca. These individuals will be registered for a preparatory course in Wiccan tradition. First Circle: At this level, members are aware of the Five Points mentioned above. Second Circle: To become a member of this Circle, a knowledgeable Witch will need to sign the Oath of Practice. Third Circle: Members who have achieved higher level of devotion to Universal Eclectic Wicca through an independent assignment will be able to become a member of this circle. Clergy: Individuals who intend to be mentors of this tradition are a part of this circle. The UEW tradition is especially popular for the Coven of the Far Flung Net or CFFN, which is actually a Coven that teaches over the internet. 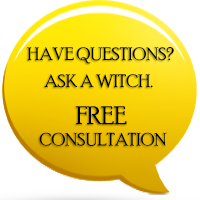 The Universal Eclectic Wicca is also popular for its approach towards Coven or group-based practitioners and solitary practitioners. I don't believe I knew the actual name of the UEW and didn't know it was incorporated. I like what I'm reading, nonetheless. I've been a solitary (working on my own) since about 1969, mostly self-taught, though extensively, as well as some hands-on learning and working with my step sister in the 80s and 90s. I'm familiar of course with the Rede and am of the same beliefs and commitment as stated here. There is a belief with some witches that we're to be initiated- no matter whether we belong to a coven or not. Any thoughts? If I was to join this UEW, where would I fit? Would like more info and even though I have been learning alot for a long time, I would like to maybe join the Pre-First Circle. How do I know this is real and really practice? I haven't done this in awhile and want to start back up! Me and my best friend have a connection unexplaned. I know I have it in my blood and feel it in my heart and mind! these is amazing,please i realy want to be a devoted memember of white witchcraft and wicca, please i beg you people to take me in for i have been longing to be a member honestly.